Instead of mayo, try spreading a layer of guacamole, avocado slices, pesto, hummus or salsa with a kick! If you’re eating a roasted bird the night before, cut off a few nice slices for your roll up, salad or sandwich the next day. Your body will greatly thank you for less nitrites and the high concentration of fat in cold cuts. 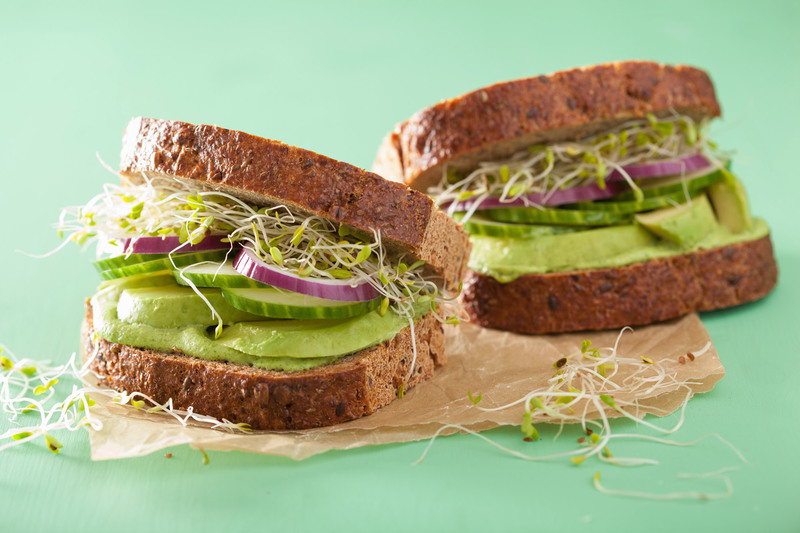 Add something green in your roll up or sandwich. How about sprouts? They have a nice crunch, are PACKED with dense amounts of vitamins & nutrients not to mention they have 100 times more enzymes than uncooked fruits and veggies! By all means, have fun changing things up a bit, but whatever you do…. slow down and chew.